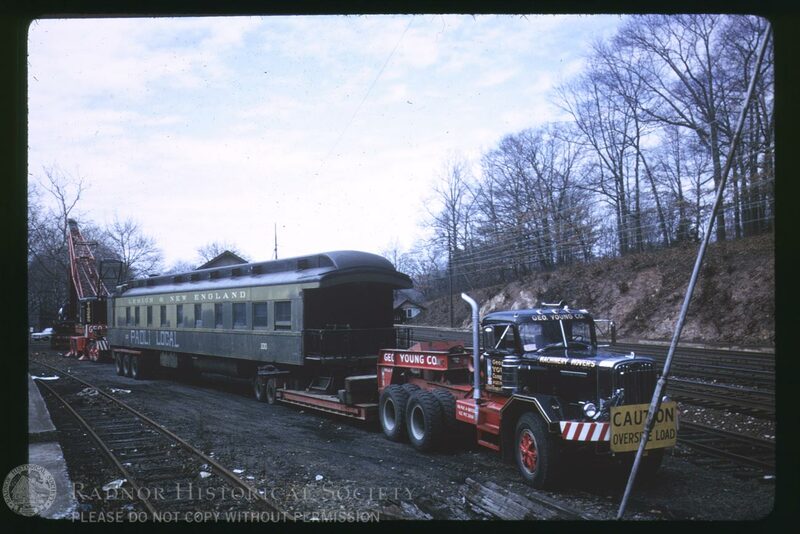 The “Paoli Local” restaurant featured a real train car from the Lehigh & New England (rebranded “Pennsylvania” while in use). To get to the site of the restaurant, it had to be transported via rail car to Devon Station, and from there trucked to the restaurant at 523 West Lancaster Avenue in Strafford. These slides document the moving of the train car.